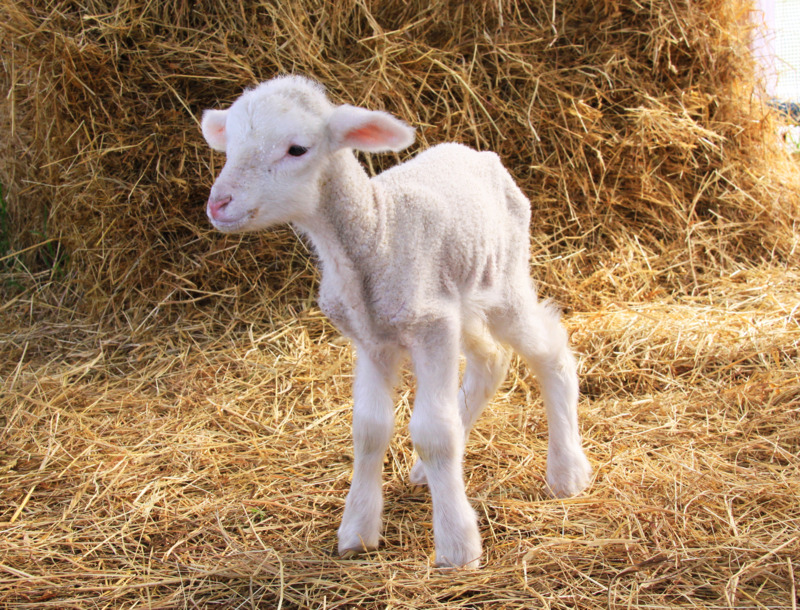 The Department of Primary Industries and Regional Development conducts a surveillance program for ewe abortion and newborn lamb deaths to assist sheep producers to identify the cause of abortions and newborn lamb losses in their flocks. The program also provides important surveillance and testing to support Western Australia’s sheep export markets, which were worth over $192 million in 2014/15. The cause of ewe abortions and lamb deaths may often go undiagnosed as there are a range of infectious and non-infectious causes. The issue is often not recognised until marking, by which time the samples needed for testing are not available. To help overcome this issue, DPIRD has developed a sampling program where producers collect samples from aborted or dead lambs at the time the losses occur - click here to see a video about the program. The producer freezes samples as they are collected and, when at least three cases have been sampled, the producer contacts their veterinarian and sends the frozen samples to DPIRD Diagnostic Laboratory Services for testing. Samples are tested for infectious causes of abortion known to occur in Australia. If the testing identifies an infectious disease is causing the losses, management strategies to reduce future impact may be available. Where testing does not find an infectious disease, the producer may need to consider other factors that may be contributing to infertility, foetal loss or lamb deaths. Samples are also tested for some significant causes of sheep abortion that do not occur in Australia, such as the bacterial infection Brucella melitensis and enzootic abortion of ewes. The negative test results are used to show that WA and Australia continue to be free of those exotic diseases. This ‘proof of freedom’ is required for sheep to be exported to existing or new markets. Which cases of abortion or lamb deaths are eligible? Producers can submit samples for laboratory testing once they have collected samples from at least three lamb abortions or newborn lamb deaths (see sampling information below). Only cases where the lamb has not walked (gel still present on the hooves) are suitable for this targeted surveillance. Samples must be collected fresh (less than 12 hours after death when collected) and subsequently frozen. This program is intended to make it easy for producers to sample abortions and lamb deaths that the producer may not consider to be significant and to obtain a diagnosis. If the abortions or lamb deaths continue, or if adult sheep are unwell, producers should call a vet for a full investigation and advice. What diseases will be tested for? DPIRD pays the cost of this laboratory testing. What samples should be collected and frozen? Some of the diseases that cause sheep abortions are zoonotic (can cause human illness). Gloves must be worn when sampling. Wash hands and equipment with soap or detergent after sampling. Pregnant women should take particular precautions. The required sample is a piece of the buttons of the placenta (if available) or a piece of liver from the aborted, stillborn or dead newborn lamb. Please refer to the detailed sampling guideline included in the sampling kit or download from the Documents link of this webpage. The guideline includes step-by-step instructions and photos. Producers can request a sampling kit from their local DPIRD veterinary officer or by arrangement from their private veterinarian or sheep consultant. Each sampling kit contains an esky, detailed sampling instructions, gloves and the jars and bags to package the sample. When three sets of samples are ready to be sent, contact your preferred private veterinarian or sheep consultant (by arrangement) or local DPIRD veterinary officer to arrange submission of the samples. Your nominated veterinarian or consultant will receive the laboratory test results so they can assist with interpretation and recommend management strategies if required.